Three big things happened in 1987. I returned to South Africa after a year of touring my Kalahari Surfers band in the UK, I met my wife, Michele, and saw a band called Koos. They were, for me, the only South African band that fitted in with the work I was doing with Recommended Records and the political climate of the time. I saw them play at “The Pool CLub” and later again at “The Black Sun” in Johannesburg.They performed with incredible intensity combining theatre, art and music with punk sensibility, and best of all using the Afrikaans language which the best expressed , in my opinion, the peculiar zeitgeist of the 80’s. Not only the South African 80’s but the global cold war 80’s. Like German, Afrikaans has an angst that grabs the soul. I approached them about recording and brought them into the Shifty Studio* one Sunday morning where most of their tracks were laid down live. Shifty had already begun recording some of the Afrikaans punk bands like Gereformeerde Blues Band and Bernoldus Niemand. KOOS were different though:they fitted somewhere outside of the light entertainment market. It was hard. Essentially a live studio album, it was recorded straight onto a Fostex B16 and digital SonyPCM ( the first digital recorder on the market). 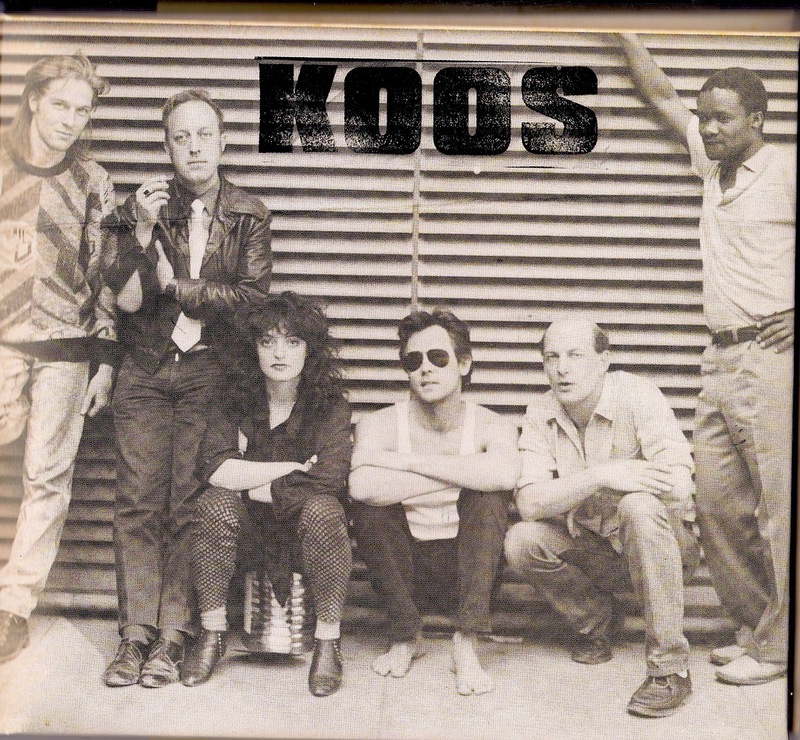 The recording was released as a cassette tape in a brown paper bag stamped with the word “KOOS”.